Current EVEntS – Janet Reno Responsible for Waco Massacre | It's the Women, Not the Men! 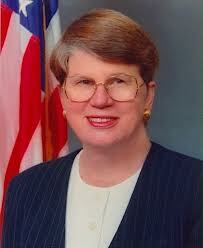 Ms. Janet Reno – former Attorney General of the United States. In 1993, Janet Reno was the Attorney General of the United States, while serving under Pres. Bill Clinton. She approved the final CS tear-gas assault on the Branch Dravidians compound in Waco, Texas, after which it burst into flames, ending a 51 day siege by FBI and ATF, and killing 74 men, women and children. The tragedy began when a search warrant was issued, on the basis of “if, come, maybe” information from a former and disgruntled Branch Davidian leader, who lost in a take-over attempt, to David Koresh. On this pretext, the ATF (Bureau of Alcohol, Tobacco and Firearms) raided their Mount Carmel Center in Waco, Texas in search of these “illegal” guns. The religious group initially resisted, resulting in the death of four agents and six members of the group. This began the siege. When the smoke finally cleared, all of the guns were proven to be legal. Janet Reno accepted the blame for the massacre, before a congressional hearing. Let’s not forget her boss. There is blood on his hands, as well as God knows what else on his uhh…..
« #5 – Thank God for the Good Guys in Boston! One Down and One to Go.